This the second part of my discussion of Bruce Glass, Exploring Faith and Reason: The Reconciliation of Christianity with Biological Evolution (Houston: DBG Publishing, 2012). While the chapters in Part 2 of Glass’s book (which I discussed in my last post) are helpful in dispelling many misunderstandings about Darwinian evolution, the chapters in Part 3: “The Evidence for Evolution” are even better. Reviewers sometime say that a particular chapter was worth the price of the book. Sometimes, depending on the book’s price, that is pure hyperbole. In this case, I would make the “worth the price of the book” claim for chapter 7. Chapter 7: “Clues All Around.” In this chapter Glass points to multiple lines of evidence of biological evolution in the natural world, citing example after example of actual changes that have been observed in the past century. If you want to understand what “natural selection” means, this is the best explanation I know of. Glass first cites examples of humanly-guided selection (breeding) among both animals (fish, cats, dogs) and plants (corn, vegetables, flowers). But not all observable changes in organisms have been intentional. The reason we have shorter dandelions today is due to mowing of lawns (shorter dandelions have been “selected” for survival). He also points to the adaptive resistance of insects and other pests due to the use of pesticides in agriculture, antibiotic-resistant bacteria, and genetic drift in viruses. The discussion of the constant evolution of HIV strains and the avian flu is particularly illuminating for illustrating how natural selection works. Most of the changes Glass discusses do not involve the transformation of one species into another (since this takes a lot longer than a century for complex animals). But bacteria and viruses (which have a much shorter generational life) demonstrate more significant evolution in a shorter time. Glass also explains how genetic disorders (such as Down’s syndrome, cystic fibrosis, hemophilia, color blindness, sickle-cell anemia) are inherited. He notes that some of these genetic changes may have been adaptive measures to various diseases in the distant past (thus cystic fibrosis carriers seem to have increased resistance to cholera, while those with the sickle-cell gene are more resistant to malaria). Beyond noting observable changes in organisms due to natural selection, Glass also points to the appearance and subsequent fading of ancestral structures in embryos. The fact that all reptile, bird, and mammal embryos have temporary gill slits, and that some whale embryos develop teeth (which are then reabsorbed into the tissue) is suggestive of evolutionary history. Likewise, atavistic structures appear in some humans at birth (coccygeal tails in newborns) and in some animals (whales and dolphins born with legs, horses with extra toes). Then there are the vestiges of the evolutionary past found in the normal anatomy of mature humans (wisdom teeth, tailbone, appendix). Other vestiges are consistently exhibited in certain animals (the dewclaw on dogs, hollow bones and wings on flightless birds, fingernails on the flippers of manatees, rudimentary leg bones inside the bodies of most pythons and some whales, and vestigial legs on some lizards that look more like snakes). These structures are all consistent with the evolutionary history of the organisms involved. What is particularly instructive about this chapter, besides the wide array of evidence Glass marshals, is that his many examples end up clarifying the meaning of “natural selection,” in contrast to the discredited Lamarckian notion of the “inheritance of acquired characteristics.” So this chapter is both great at explaining how evolution works and marshaling observational evidence for evolution that is consistent with what we know from paleontology and genetics. Chapter 8: “The History of Life.” Having claimed that chapter 7 was worth the price of the book, I have to admit that I found chapter 8 (an overview of the evolution of life on earth) to be fascinating, especially the discussion of hominid evolution, which is a particular interest of mine. Beginning with the formation of the earth (along with our solar system) some 4.6 billion years ago, Glass moves step-by-step through the development of simple single-celled organism (3.6 billion years ago), more complex single-celled organisms (1.4 billion years ago), the so-called “Cambrian explosion” (over 500 million years ago), the development and extinctions of more complex animals (first in the water, then on the land, including, of course, dinosaurs), right up to pre-human hominids (the oldest fossil hominid skull being about 6 million years old). While the chapter is clearly selective (it is a non-technical sketch for those not acquainted with the science), Glass gives us a bit more detail about the latest paleontological evidence for what seem to be twelve distinct types of humans known from the fossil record–the oldest dating back almost two million years, the latest being the relative newcomer, homo sapiens. As Glass notes, the fossil record is certainly not complete. It’s been estimated that only one bone in a billion gets fossilized; others have estimated that only one in a hundred thousand species have been found. And yet existing fossils tells us a compelling tale of the history of life on earth. Chapter 9: “The Tree of Life.” As a follow-up to chapter 8, Glass then explains (in somewhat brief compass) the basics of the classification system scientists use for living organisms, including the contribution of genetics to this understanding. All in all, Parts 2 and 3 of this book are a superb overview for non-experts who want to understand the current state of the science on biological evolution. Glass has done us (especially Christians, who are his primary audience) a great service in this respect. In my next two posts I’ll address the non-scientific aspects of the book, including Part 4: The Politics of Evolution (which was quite illuminating) and Part 1: Christianity and Evolution (which I didn’t find particularly satisfying). I’ll use the latter as a springboard to explore better ways to think theologically about evolution. 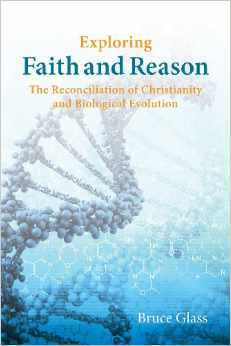 I’ve just finished reading Bruce Glass, Exploring Faith and Reason: The Reconciliation of Christianity with Biological Evolution (Houston: DBG Publishing, 2012). The book was recommended by various scholars whom I respect, and for the most part I agree with their recommendation. 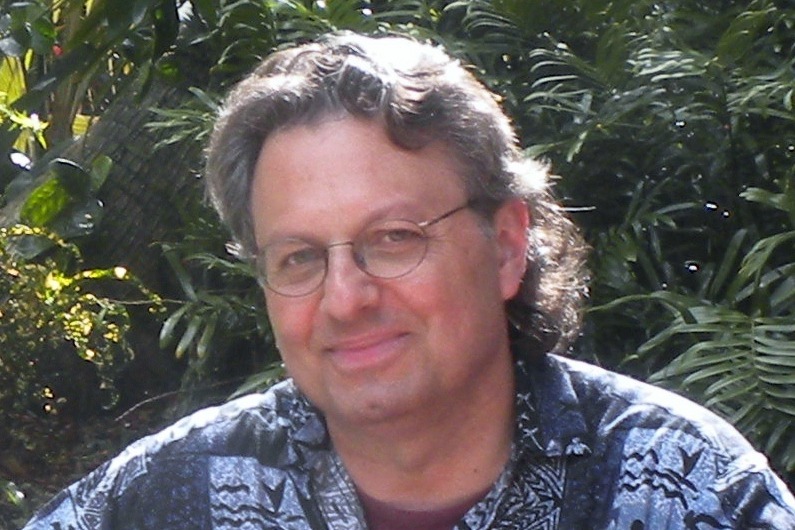 Glass is a religious agnostic and a non-scientist who writes to explain evolutionary theory to a popular audience and also to explain why it is not antithetical to classical orthodox and evangelical theology (he writes from a knowledge of pious evangelical Christians who are evolutionists). Glass’s writing is both lucid and permeated by an irenic spirit. The book has eleven chapters divided into four Parts. I found the book to be helpful in explaining biological evolution in a non-technical way. I’m going to comment on this in the current blog post (part 1) and also in the one following (part 2). But I was less enamored with the strategy Glass used to reconcile Christianity and evolution. It showed a somewhat simplistic and bookish understanding of the Bible and theology. I’ll raise my criticisms in the final part of this post. Part 2:“The Theory of Evolution” contains three lucid chapters. Glass is at his best explaining biological evolution in ordinary language so that non-scientists can make sense of it. Chapter 4: “Layers of Understanding.” Here Glass clarifies what a scientific theory is (including the multiple ways the word “theory” is used) and how later scientific theories often explain matters that earlier theories can’t (without totally invalidating the earlier theory). This nicely diffuses the objection that evolution is “only” a theory (where theory means something like an unsupported hunch). It also illustrates one of the meanings of the word “layers” in the title of the chapter, namely, how earlier and later scientific theories relate to each other. But “layers” has another meaning, namely, how science relates to faith. Glass helpfully also addresses the historical problem Christians have had when they related theology to science by the strategy of a “God of the gaps” (that’s when God is introduced to explain what science—at the moment—cannot explain). That science typically fills in the gaps, over time, thus squeezing God out of the picture should warn Christians about the folly of this approach (which is the basic problem with the “Intelligent Design” movement). Chapter 5: “The Awakening of Evolutionary Science.” In this chapter Glass recounts Darwin’s intellectual development, his collection of specimens and observation of species diversity during the Beagle voyage, and how he came to develop his theory of “natural selection” to explain the mechanism of evolution. Glass notes that biological evolution did not begin with Darwin, and he summarizes how evolutionary theory has developed since Darwin, especially with the rise of genetics. This is a fine, clear exposition. I would, however, have liked Glass to explain more fully the difference between Darwinian “natural selection” and Lamarckian “inheritance of acquired characteristics,” which are often confused in the popular mind, and which he declares incompatible (p. 92). Thankfully, he does this in a later chapter. It should be noted that Glass treats natural selection as the only viable account of evolution, even though there are supplementary mechanisms being proposed these days (including neo-Lamarckian proposals). Chapter 6: “Let the Land Produce Living Creatures.” In this chapter Glass focuses on the multiple ways that life has proliferated on earth, including examples of “co-evolution” (in which species evolve in tandem, adapting to each other), the quite diverse paths through which complex structures (like eyes and wings) have developed in different organisms, and convergent evolution of different species filling similar niches in different parts of the world (such as evident similarities between marsupial mammals and placental mammals, which developed separately). Glass also helpfully explains how biological evolution with greater complexity can occur in a universe defined by entropy (which initially seems counter-intuitive). And he makes the important admission that Darwin’s evolutionary theory can explain how life evolves, but does not actually explain biogenesis or the origin of life (p. 120). Although there is much current speculation on how life began, there is no accepted scientific explanation. In my next post I’ll discuss Glass’s superb explanation of the evidence for evolution, especially the chapter that is proverbially worth the price of the book. This is part 4 of a four-part post on my connections to N. T. Wright, the prolific New Testament scholar. For part 1, click here. For part 2, click here. For part 3, click here. What’s Dualism Got to Do with It? Although I’ve mentioned various two-way influences between Wright and Walsh-Middleton, the connection goes even deeper, and it begins back in 1983. This was when Wright was working on his first book, a commentary on Colossians and Philemon for the Tyndale series (published in 1988). Wright was writing the Colossians material when Brian Walsh first got to know him at McGill. Based on their friendship, the two would meet regularly to discuss what Wright had written, and Brian would give feedback and critique. As Brian tells it, he kept challenging the sacred/secular dualism with which Wright was reading Colossians. Wright kept separating salvation in Christ from life in the mundane realm (including the political realm). But according to Colossians 1:15-20, the same Christ through whom all things were created, and in whom all things hang together, is the one whom all things are reconciled. The creator and redeemer are one. So Walsh and Wright did regular Bible study in Colossians together during the time when Walsh and I were completing our work on The Transforming Vision. And our critique of otherworldly dualism and our framing of salvation as God’s redemption of earthly life managed to impact Wright’s reading of Colossians. Although this article doesn’t mention Brian’s role in the shift, Wright thanks Brian for his contribution at the start of the Tyndale commentary (p. 11). Now, I’m not going to claim that Tom Wright got his emphasis on the redemption of creation from Walsh and Middleton in any simple or direct sense. But it looks like our early work on worldviews, dualism, and holistic salvation served as a catalyst for Wright at a formative phase of his theological development. At the very least, our work enabled Wright to see what was staring him in the face all along in the text of Colossians. I started this four-part post with a comment about the similarity between Tom Wright and myself on the eschatological redemption of creation, a point that many have noted. I’ve tried to explain how that similarity may have come about. It is gratifying to think that the early work Brian Walsh and I did on holistic salvation may have made some small contribution to the development of Tom Wright’s powerful and illuminating eschatological vision. In another post I explore ways in which I’m not quite on board with all of Tom Wright’s eschatology. You can read about my 2017 visit with Tom Wright at St. Andrews in Scotland here.